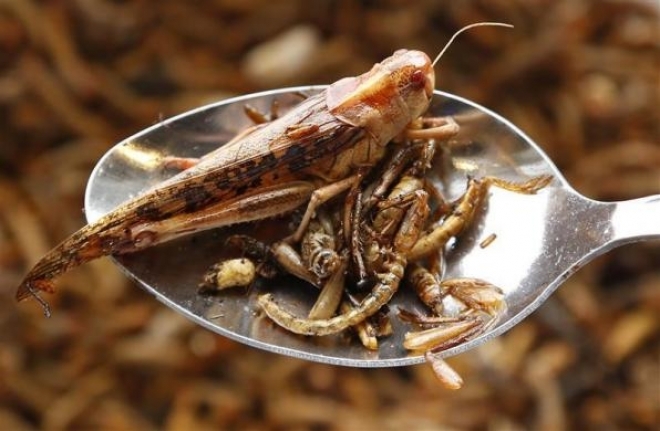 Do you think that eating insects only happens in the dark corners of Southeast Asia like rural Cambodia or Vietnam? Well, this is simply not the case. Entomophagy, the eating of insects, is a hugely spreading global trend. From NY to Mexico City and from London to Capetown, this is a hot topic not only in the culinary and chef scene, but also in among governments and the UN. As the population grows and thus the global requirement for the food necessary to sustain the population, insects are an increasingly viable options as a food source. Long consumed in Africa and Asia, insects provide very nutritionally balanced source of protein. And unlike meat or poultry, insects have little to no fat. In some cases, insects can provide a protein replacement. In other cases, they can be the base for key ingredients. For example, students from McGill University in Montreal have won the 2013 Hult Prize for producing a protein-rich flour made from insects. I, for one, don’t find the idea of a caterpillar on my plate appetizing but a high protein flour that takes bread off the “naughty” list as an inefficient, high carb energy source is hugely appealing.